Welcome to another Spotlight Saturday. 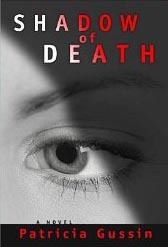 This week, I’m readingÂ Shadow of Death: a Laura Nelson Thriller, written byÂ Patricia Gussin, a new-to-me-author. Pull a trigger and everything changes. Medical student Laura Nelson had just finished examining her first patient when she is forced to make a split-second decision that will alter the course of her life – forever. One life will end, and one life will never be the same. But keeping her dreadful secret will be one of the toughest challenges Laura will ever face. With a persistent and perceptive detective hot on her trail and a host of eerie incidents suggesting that maybe her secret isnt really a secret, Laura is drawn into an unseemly web of peril, deceit, and treachery and is forced to risk both her freedom and her sanity. Will her deadly secret come to light, or must she live forever in the shadow of death? Set amidst the upheaval and smoldering chaos of the Detroit riots of 1967, Shadow of Death is a haunting tale of unrest, fear, and consequences. Hailed as a stunning debut novel, Shadow of Death provides a spine-chilling glimpse of what lurks in the shadows. Today, I’d like to tell you about historical romance author Sharon Cullen’s latest release, Pleasing the Pirate. I haven’t read this book yet, but I’ll bet it’s fabulous, as her other books are. 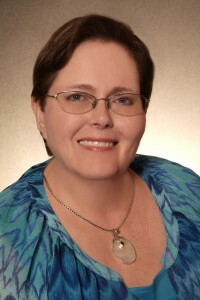 Sharon Cullen is the author of the historical romances, The Notorious Lady Anne, Loving the Earl and Pleasing the Pirate. 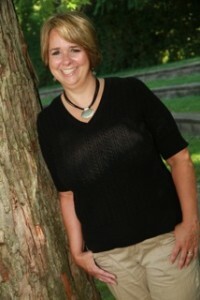 Sheâ€™s also published in romantic suspense, paranormal romance and contemporary romance. If youâ€™d like to find out more about Sharon and her books, you can visit her website. Sheâ€™s addicted to social networking so you can find her on Facebook and Twitter. Friend her! Like her! Follow her! Sheâ€™d love to hang out with you and talk about her passionâ€”books. Two hearts are wrenched between love and duty in Sharon Cullenâ€™s tale of a ruthless pirate and the Scottish lass who fills him with desire for something greater than plunder. With her clanâ€™s crops burned and their property confiscated, Mairi McFadden is desperate to free her brother from imprisonment so that he can take his rightful place as chief. Her only hope is the fierce English pirate Phin Lockwood, but the buccaneer laughs at her meager funds. His roving eyes, however, tell Mairi thereâ€™s something else heâ€™ll take in exchange for her brotherâ€™s rescue. Though she burns with hatred for the English, sheâ€™ll do anything to save her clan. The crown has made it clear that Phin has two choices: bring in a certain Scottish traitor or hang. And heâ€™s not about to let a tiny, whiskey-eyed woman get in his way, even if she is pointing a gun at him. When Phin learns that Mairiâ€™s brother is the very man he seeks, heâ€™s more than willing to use the lass as bait. But as the moment of capture draws near, Phin is surprised by his feelings for the courageous beauty who has him considering risking his lifeâ€”for someone besides himself. The sound of large, booted feet made its way toward Captain Phinâ€™s cabin, interrupting her thoughts. The steps were heavy, methodical, steady, moving ever closer. Mairi sat up. Her palms grew moist and her heart thundered. This had to be him. Even his footsteps sounded authoritative. She jumped up and wiped her free hand on her skirts, wincing at the protestation of her stomach. Transferring the pistol, she wiped off her other hand, then raised the pistol with both hands, sighting down the barrel as her da taught her to do. The door creaked open and Captain Phin stepped in. All six foot plus of him. He had to duck to clear the doorway and when he straightened, the top of his blond head nearly touched the ceiling. He locked stormy gray eyes on her. He was wearing a dark blue waistcoat with gold epaulets at the shoulders and absolutely nothing beneath it except a very large expanse of sun-browned skin. Oh my. She had to remind herself to breathe. His breeches were tan in color and so tight she saw every muscle in his thighs ripple. Rugged, well-worn boots reached his knees. Mairi tore her astonished gaze from his body to his face. This was not what she expected when she pictured Captain Phin Lockwood. Sheâ€™d imagined an older man, face creased by years on the ocean. Bowlegged, bent at the shoulders, a dry voice and rheumy eyes. This manâ€™s shoulders were impossibly wide and his eyes . . . She swallowed. Sheâ€™d never seen such beautiful gray eyes. A dark brown brow was lifted in query, a sensuous mouth twisted in an ironic smile. He crossed his arms over his naked chest and spread his very non-bowlegged legs to accommodate the rocking of the ship. Oh, dear. That voice wasnâ€™t dry at all. It was smooth as the whiskey her da had kept in his study. Welcome to another Spotlight Saturday. 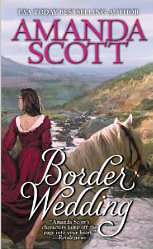 This week, I’m reading Border Wedding, written by Amanda Scott. I’m enjoying this book as much for the setting (it takes place where I was born and raised) as for the story itself. Captured in 1388 in the act of stealing back his own cattle, young Sir William Scott faces hanging, then gets one other choice–to marry immediately his captor’s eldest daughter, the lady Margaret Murray, known by all as Muckle-Mouth Meggie. With the line between England and Scotland shifting daily, the Earl of Douglas wants to win back every inch of Scotland that the English have claimed; whereas the equally powerful English Percies (under Hotspur) want to win back the land between Northumberland and Edinburgh; and the Murray family is caught in the middle, shifting its alliances to try to survive. Uncertain whether she is English or Scottish and abruptly married to Sir William who is staunchly loyal to the cause of Scottish independence but who also has promised he’ll never take up arms against her family, Meg Murray learns two things: first, Will’s word is his bond; second, her favorite brother is spying on Douglas for Hotspur. As Sir Will faces the dilemma of honoring his word to the unscrupulous Murray without betraying Douglas, Meg must choose between betraying the husband with whom she is rapidly falling in love, or betraying her own family and best-loved brother. 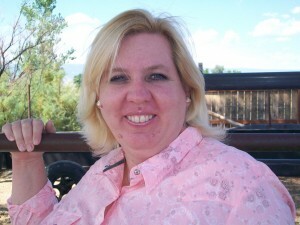 I’m thrilled to welcome my friend, D’Ann Lindun, back to my blog today (her last visit is here). Welcome, D’Ann. For readers who don’t know you, can you tell them a little about yourself? Falling in love with romance novels the summer before sixth grade, I never thought about writing one until many years later when I took a how-to class at my local college. I was hooked! I began writing and never looked back. Romance appeals to me because there’s just something so satisfying about writing a book guaranteed to have a happy ending. My particular favorites usually feature cowboys and the women who love them. This is probably because I draw inspiration from the area where I live, Western Colorado, my husband of twenty-nine years and our daughter. Composites of our small farm, herd of horses, five Australian shepherds, a Queensland heeler, two ducks and cats of every shape and color often show up in my stories! I visited the Denver area once and loved it. One of these days, I’ll venture back there to see the rest the this gorgeous state. Now, the blog is yours. Take it away. Did you know kids can start rodeoing at 5? Yes, five! In Little Britches Rodeo, kids start that young. They are called Little Wranglers and can participate in these events: Barrel Racing, Goat Tail Untying, Flag Racing, and Pole Bending. Junior boys, ages 8-13, ride bulls. On the NLBRA website rules for the Senior and Junior Boysâ€™ divisions are virtually the same, except that a Junior Boy is not allowed to wrap the tail of his rope around his hand and is only required to stay on for six seconds. There is also Junior Rodeo, and the kids who compete there start at 8 and the boys ride calves! Some of the famous bull riders who have come up through the Little Britches and Junior rodeo ranks include Tuff Hedeman and Lane Frost. â€œI didnâ€™t think so.â€ For some reason, that bothered Cody. â€œWhat do your folks think about this?â€ Even though he had a sneaking suspicion this kidâ€™s mother would hit the roof at the idea, Cody felt himself weakening. Maybe because something about the kid reminded him of his own start, when nobody had believed in him but one old man. â€œMy dad would love the idea, but heâ€™sâ€¦gone. My mom works all the time. She wonâ€™t even know.â€ His voice didnâ€™t plead anymore, but his eyes did. â€œIâ€™m off for two weeks. And, no, Iâ€™m not in high school yet.â€ He said this reluctantly as though Cody wouldnâ€™t consider helping if he knew his age. Cody didnâ€™t comment. If the kid hadnâ€™t been competing in Little Britches and junior rodeo since he was eight years old, then he was at a huge disadvantage. Boys who were serious about the sport usually got started riding sheep at three or four. By the time they were eight, they were old hands. Though some of the Brazilians taking over the sport hadnâ€™t gotten that early of a start, and they didnâ€™t have any problems. Raw talent could make up for a lot. After Laney Ellisâ€™ husband is killed by a bull, she is left to run their small cattle ranch and raise their son, Justin, on her own. Despite some of Laneyâ€™s worst fears, the dream Justin holds dearest is to be exactly like his dad, a champion bull rider. He finds his chance when world champion bull rider Cody Utah moves in next door. Although attraction between Cody and Laney flares, neither act upon it. Laney refuses to get her family involved with another bull rider, and Cody has heard rumors Laney trapped Wyatt, her late husband, into a high school marriage by getting pregnant.The last thing Cody wants is children. 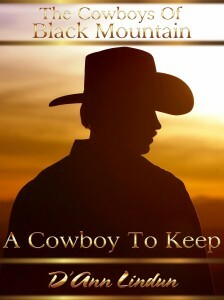 A Cowboy to Keep is available on A Cowboy To Keep (The Cowboys Of Black Mountain) “>Amazon. D’Ann is also offering a digital copy of A Cowboy to Keep to one lucky commenter. Thanks for spending this time with me, D’Ann. Best of luck with A Cowboy to Keep. Welcome to another Spotlight Saturday. 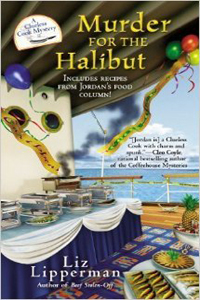 This week, I’m reading Murder for the Halibut, written by my friend and loopmate, Liz Lipperman. I’m thrilled to have my friend, Melanie Atkins, on my blog today to talk about her new release, Against All Odds. Thanks for visiting, Melanie. The blog is yours. Take it away. Margery, thank you so much for allowing me to guest blog. I have a new book out with Desert Breeze Publishing on Friday, February 21, and I wanted to tell you about it. 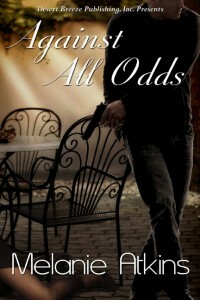 Against All Odds is a full length romantic suspense set in New Orleans, Louisiana. The book is the third in a trilogy after Blood Bound and Above Suspicion, that came out in 2013. These books are darker than some of my other work, and I loved writing them. Nothing like darkness, romance, and grit to get my blood pumping. Sienna Wright has it all: an exciting career, a handsome husband who is an ADA, and two beautiful step-childrenâ€¦ until a vicious murderer takes all away and sends her tumbling into a terrifying black abyss. Detective Nate Lincolnâ€™s job is his life, and he jumps at the chance to reclaim his gun and badge once the department reinstates him after a long suspension. His first order of business is to solve the murders of Jeff Wright and his two children, a case that fell through the cracks. Still shell-shocked after nearly a year, Sienna at first refuses to help Nate. Then someone tries to kill her, and in order to survive, she is forced to break free of her quagmire of depression and trust the man she once loved. Nate isnâ€™t sure he can solve the case, and yet he has to try. He would do anything for Sienna, even if she refuses to admit she still loves him. “Not a smart move. Give him my regards,” Jack said with a wry smile as he swung the sedan into the parking garage adjacent to the station. Nate growled in response, but didn’t voice his true feelings about the case or Sienna. She’d broken his heart when she’d blown him off in favor of Wright, but he didn’t want Jack to know. All he needed was the facts. Sienna, a beautiful, headstrong woman, had been a popular reporter for the Times Picayune, yet she’d crumbled the night Jeff and kids had died. So much so, her doctor had hospitalized her after the funeral and kept her there until he’d found a family member willing to take care of her. Two days later, Sienna left Louisiana for Birmingham, Alabama. Nate had no idea how she was doing now but figured he ought to pay her a visit, even though it was the last thing he wanted to do. “Save me from old girlfriends,” he muttered as he banged out of the car. He hated confrontations with women, thanks to his dealings with his own mother and the crappy way he’d ended his relationship with Sienna. Showing up drunk at her wedding had been the icing on the cake. The pain of that day still gnawed at his soul. “Doesn’t sound like it.” Nate entered the squad room, lowered himself wearily into his chair, and tried to call the Cold Case detective, Alfred Lutz. No luck. Lutz was out sick and didn’t answer either of his personal phones, home or cell. Thanks for taking the time to visit with me, Melanie. Fabulous cover, and I can’t wait to read the book. You can learn more about Melanie and her books on her website, and follow her on Facebook and Twitter. Welcome to another Spotlight Saturday. This week, I’m re-reading a book from my keeper shelf, The Witch and the Warrior, written by fellow Canadian, Karyn Monk. Suspected of witchcraft, Gwendolyn MacSween has been condemned to being burned at the stake at the hands of her own clan. Yet rescue comes from a most unlikely source. Mad Alex MacDunn, laird of the mighty rival clan MacDunn, is a man whose past is scarred with tragedy and loss. His last hope lies in capturing the witch of the MacSweens–and using her magic to heal his dying son. He expects to find an old hag….Instead he finds a young woman of unearthly beauty. There’s only one problem: Gwendolyn has no power to bewitch or to heal. Now she must pretend to be a sorceress–or herself perish. But can she use her common sense to save Alex’s son, and her natural powers as a woman to enchant a fierce and handsome Highland warrior–before a dangerous enemy destroys them both?